Sara is a Natural Empath yet her calling to be a Holistic Healer only really began in 2000 with her journey back to full health from stage 3 ovarian cancer despite a grim 17% survival prognosis. Having now studied her Finnish ancestral roots, Sara is now engaged in Shamanic work using Nature as natural therapy, including guided forest walks both day and night. She is a Reiki master, having studied with several different schools of thought. She has successfully run many Self Healing Workshop Groups and also a regular meditation group. 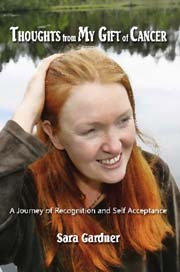 Sara has written a book housing the thoughts which accompanied her return to health. The book tells of her "Gift of Cancer" and it is this positive and compassionate aspect which is most loving present in her work.